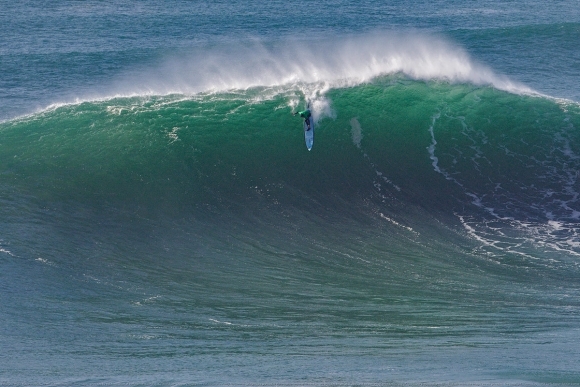 Who would bet on a 40-year-old South African winning his third big wave world title in six years? Well you wouldn't bet against Grant Twiggy Baker would you? He just did, writes Spike. Grant Twiggy Baker has returned home with the 2018 / 2019 big wave world title. The last event in the three part championship - the Mavericks Challenge - did not run by the end of the waiting period on Sunday, so Twiggy earns the title by default. Twiggy set the tone late last year by winning the Nazare Challenge, and getting a 5th at the Jaws Challenge two weeks later in difficult conditions. However, there is no-one on this planet, not least the pack of hungery younger chargers who are hunting him down, who would begrudge him his third big wave title. As he recently said at the end of a post on his private Facebook page: "Who would have bet on a 40 year old South African from Durban, recently dropped by their long term sponsor and riddled with injury to come back and win three World Big Wave Titles in six years being chased by a pack of young, hungry, incredibly talented surfers?" "To those young guys who pushed me so hard this year, you had better be ready because I’m coming back fitter, stronger and mentally hungrier next season. Let’s keep changing the game together and focusing on a #SteeperBiggerDeeper future." It is testimony to his sheer Saffa gees and determination that puts Twiggy in contention at such an advanced age that to groms must seem like a very old ballie, but to some of us makes him seem like a grom :). Life is so ... like ... relative. He started off his post by saying "After six months on the road chasing the @wsl tour it’s time for me to finally head home. Its been an amazing experience not without its trying times but mostly, living a beautiful alternate reality chasing waves and my dream of a third world title." Twiggy gives his "utmost gratitude" to his young family Kate and their kid Billi "for their unwavering love and support for my dream" and to family and friends in South Africa "who give me the drive and determination to take on the best". He also thanked his "overseas ohana, who put a roof over our heads and make us feel at home during this time away". 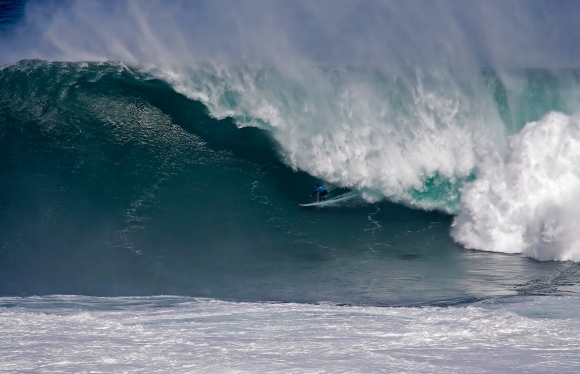 These included a range of people in Hawaii and California and the Nazare crew. "It would be impossible physically, mentally, spiritually and financially to do this without your assistance. Thank you." "To all the locals for sharing your waves with this tourist. The level of acceptance I feel at some of the most crowded waves on the planet is barely comprehendible in these modern times of greed and power and it gives me hope for the world when someone who has been taken advantage of by white people like me for such a long time, still finds in in their heart to share some waves. If the shoe was on the other foot, I’m not sure I could do it and it helps me learn to try and be a better person every day."